It’s been reported that after the announcement of Tokyo Olympics in 2020, the land value of Tokyo increased by 30% from 2014 to 2016. 30% is quite a steep rise, but properties in Japan can still produce higher yields compared to those in major oversea cities. 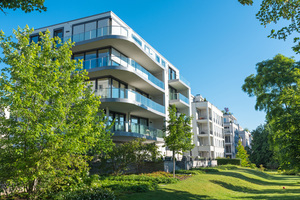 “Global Property Guide” reported that the average coupon rate is 2.57% in Hong Kong, 1.57% in Singapore, 2.89% in Paris, and 3.21% in London. These percentages are all lower than the one in Tokyo. The yields at Osaka in the Kansai area can be even promising. 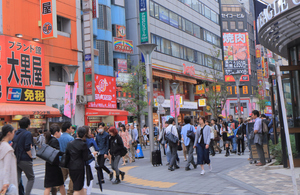 Osaka has the second biggest market economy in Japan, next to Tokyo. The properties in Osaka have relatively high yield level. 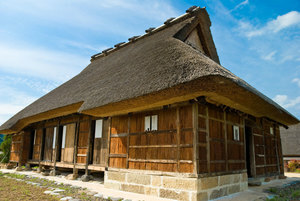 Many investors believe that Osaka is the second-best option after Tokyo. Ministry of Land, Infrastructure and Transport made an announcement of land price in 21 March, 2017 that the land value has significantly increased in Osaka area, and Osaka holds all the top five commercial areas of the highest growth of land value prices (as of 1 January, 2017). The redevelopment projects in Osaka have been moving along smoothly JR Osaka station (Osaka station city) was remodeled in 2011, Hankyu Hanshin Holdings announced their long-term urban redevelopment vision, and Naniwasuji subway is going to be completed in 2031. These developments will attract more people to Osaka. There is a sharp increase in the demand of real estate due to the increased number of tourists from overseas. 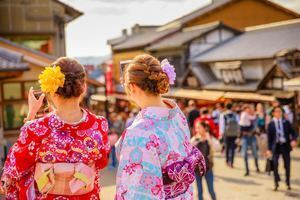 The tourism bureau of Osaka revealed that 9.41 million travelers came to Japan in 2016, which was 31% more than the last year, and recorded as the highest number ever. According to “Global Destinations Cities Index 2017” announced by American credit card company, Mastercard, Osaka topped the chart in “fastest growing destination cities” which compares the growth in the number of travelers, followed by other Asian destinations such as Tokyo, China and Korea. Dotonbori and Shinsaibashi areas are packed with tourists from overseas even during weekdays. The busy and exciting atmosphere of the city make some of the foreign visitors want to try property investment in Osaka and come back to Japan again to look for profitable properties for investment. Many investors also show interests in Nagoya, Sapporo and Fukuoka besides Osaka. 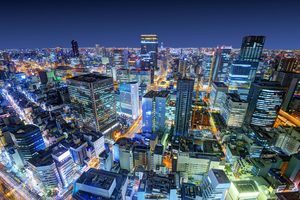 The difficulty of buying a property in Tokyo is one reason for this trend, but also market economy recovery play a part in these regional hub cities. They have emerging promising properties for better yields and capital gains. Hokkaido has more to offer than regular properties in Sapporo. Properties in ski resort, Niseko attract high-income investors from Australia, China and Thailand. It’s best to select a place for investment that has both demands by domestic and foreign investors.